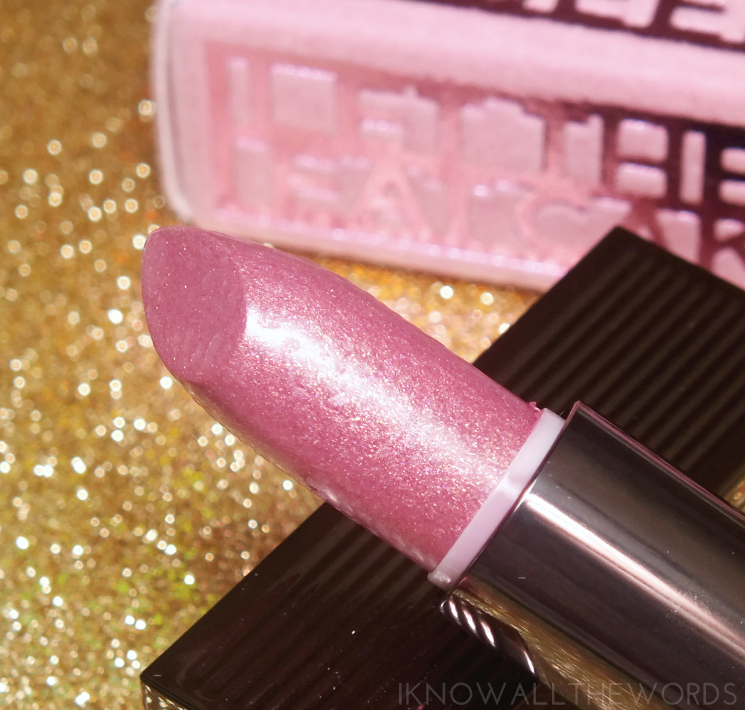 I can't say that I'd actually want to be royal, but the title of Lipstick Queen doesn't sound half bad. I mean, you're the queen, of lipstick. Excuse me white I daydream... 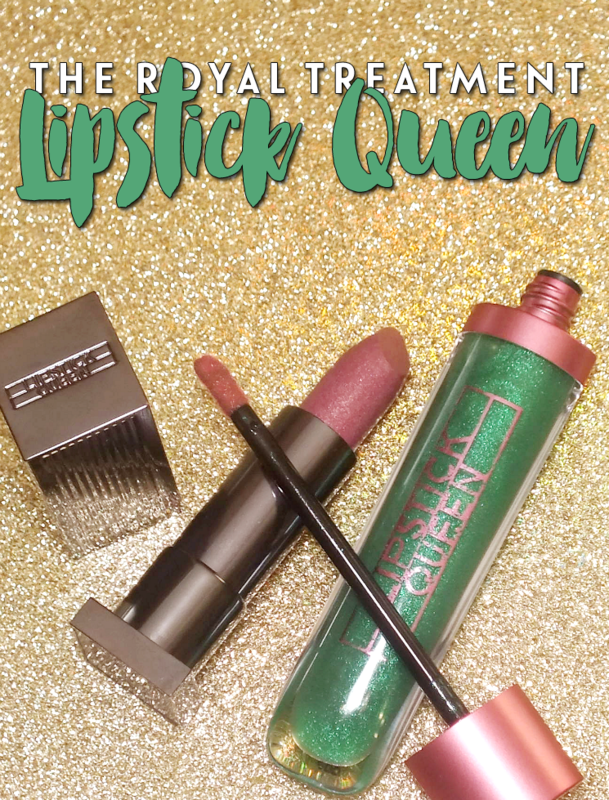 I doubt that title is going to be bestowed upon me anytime soon, but for the meantime I can fake it with Lipstick Queen products (a close second, right?) 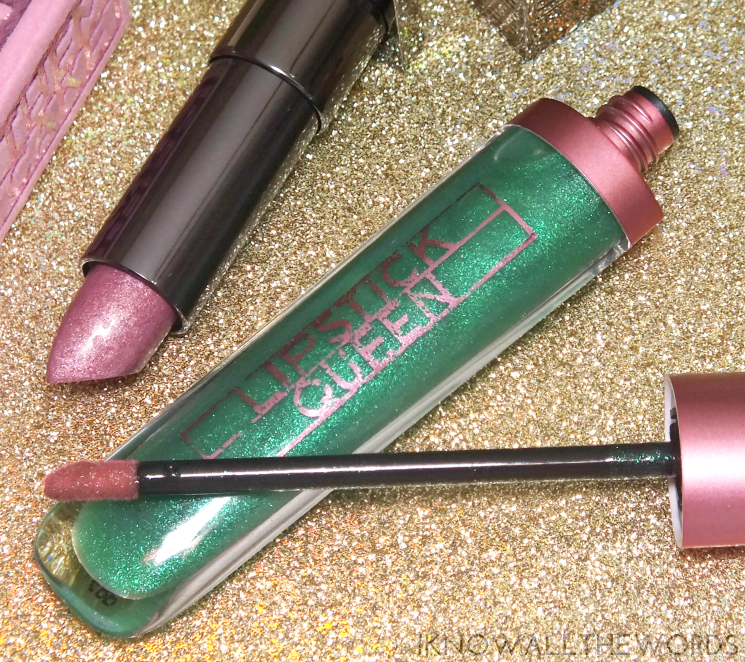 Read on for a closer look at the Frog Prince Lip Gloss and Let Them Eat Cake Lipstick. Gloss first, with the aptly named Frog Prince Lip Gloss. Much like the frog turned prince from the fable, this gloss transforms when it graces your lips. Based on the brand's best-selling lipstick (also available as a cream blush!) it utilizes pH-reacting technology to change colour from froggy green to a rosebud pink just for you (based on your pH level.) The gloss features a light smattering of green-micro shimmer and tints lips. It's the perfect gloss for those who forget to touch up, as you're left with rosy-pink lips even avfter the gloss wears away. The gloss has an amazing texture that isn't tack or sticky, and is lightly hydrating. It's formulated with natural oils, shea butter and Maxi-lip, a natural peptide that stimulates collagen and hyaluronic acid, to nourish and leave lips looking more full and defined. Frog Prince has no scent either, so sensitive noses and lips can apply all they want. I really love the gloss formula and that it stains. I am one of those who doesn't think to re-apply enough, so it's a nice back up. Although, I don't love how quickly the writing is flaking off of the tube. It's been very gently handled since it arrived, and I've lost everything from the back and the front is looking quite worn already. 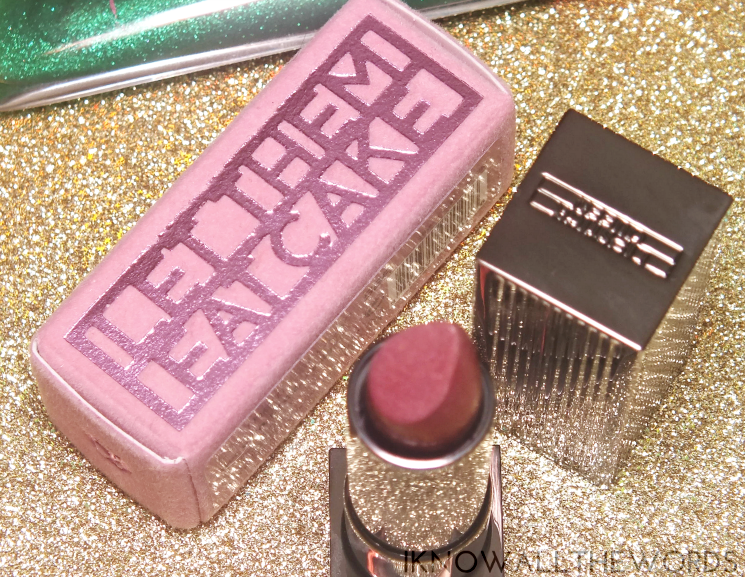 If gloss just isn't your thing, there's always cake.... Well, Let Them Eat Cake Lipstick anyhow. 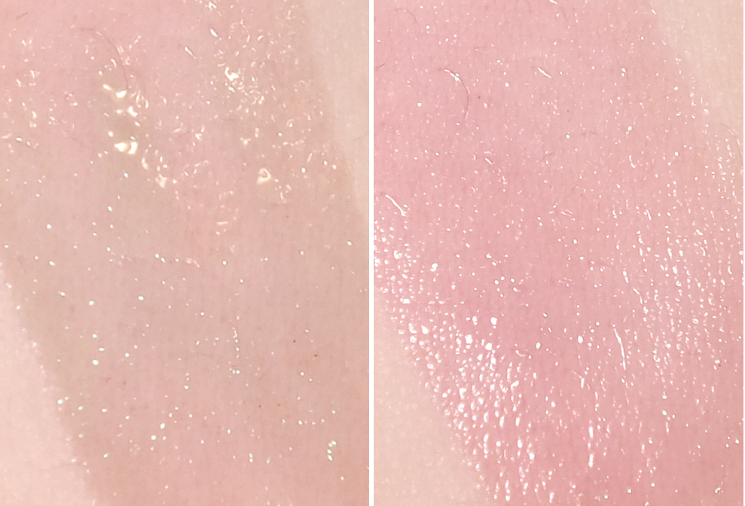 The pearlescent beauty is a combination of a rosy-lilac base with rose gold pigment that catches the light to make for a metallic-like shade. It's a stunner! 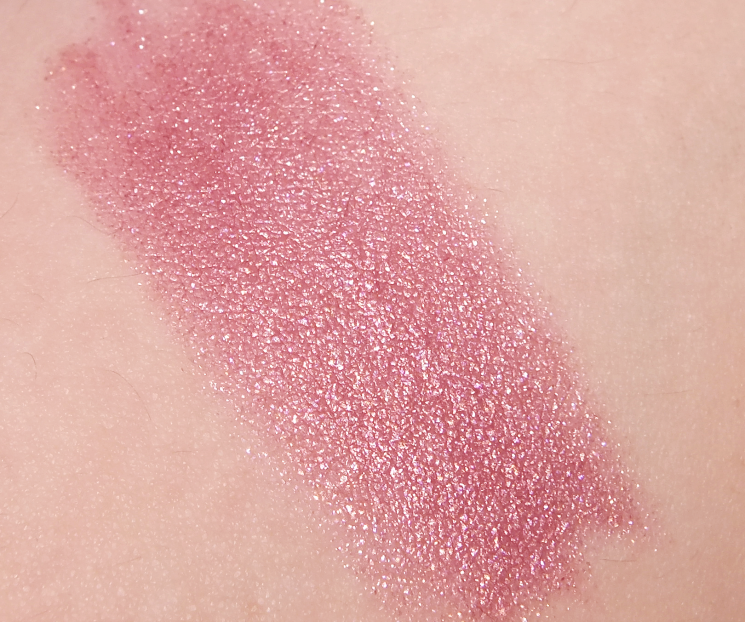 The shimmer seems intense when you first swipe it on, but it melds with the lipstick for a matte meets metallic finish. The texture feels a bit drier than your average lipstick, but the glitter/shimmer doesn't leave any gritty feel on lips. Lipstick Queen says you can wear this shade on it's own or as a topper, but I quite like it as it, by itself. 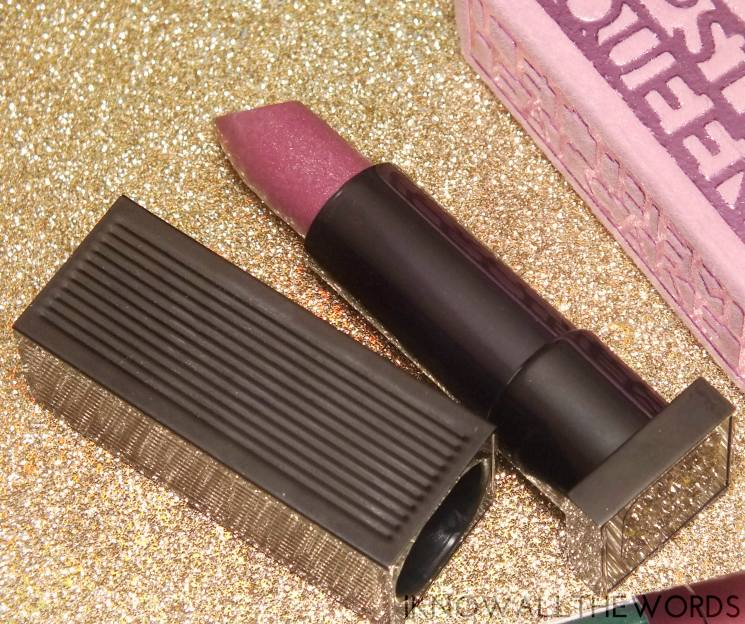 Overall, I am completely pleased with my first Lipstick Queen products. 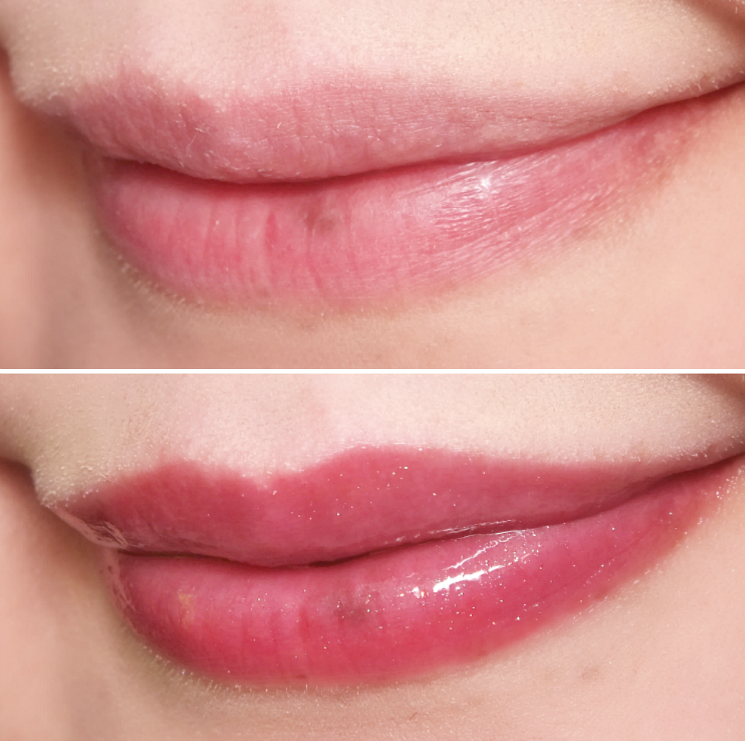 Both the gloss and lipstick bring something unique to the table and look pretty great on. What do you think? Tried either of these? Do you have any favourites from the brand?